to become involved in the bodybuilding lifestyle complete with the use of steroids. [FONT=lucida sans unicode]Roberts was always recognizable on stage due to his hypermuscular “Rambo-like” appearance. 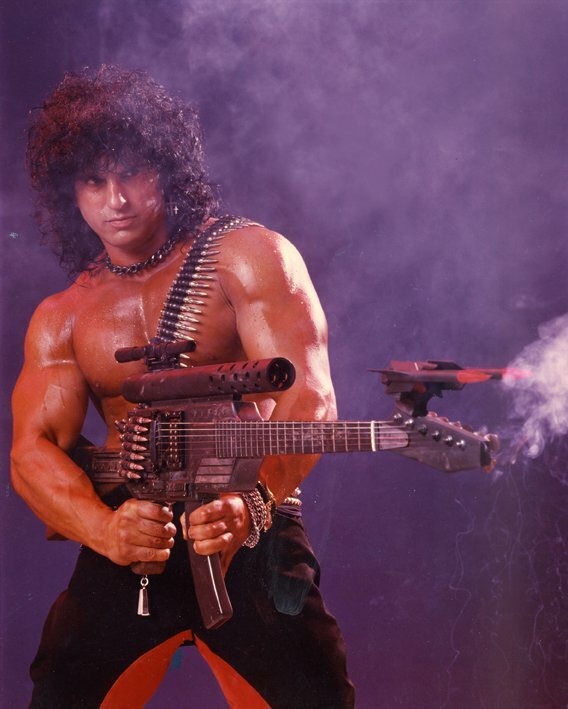 transformed himself into a glam rock version of Rambo complete with a machine-gun styled electric guitar. [FONT=lucida sans unicode]The Metal Sludge interview represented the first time Roberts publicly discussed his use of anabolic steroids. 12-week cycle per year. The benefits from his use of steroids clearly outweighed the costs according to Roberts. [FONT=lucida sans unicode]“Yeah, I did that, but there were no side effects. drugs are a different deal,” Roberts told Gittelson of Metal Sludge. “I don’t want to get on a soap box, but if you do drugs, you’re life will go nowhere. You’ll just be standing still. That’s really true. You need to keep your brain firing on all pistons. But with steroids, there are some benefits to it, so I took ‘em. would be three times bigger than the men, and that used to blow my mind. him turn his life around in a dramatic “Charles Atlas” type transformation. in his life that was dominated by alcohol and psychoactive drugs. [FONT=lucida sans unicode]“It was a weird thing because I used to do a lot of drugs, I used to drink and I was 130 pounds – real skinny,” Roberts told Chris Hunt of Guitarist magazine in February 1988. I was lifting weights – and here I am 90 pounds later! 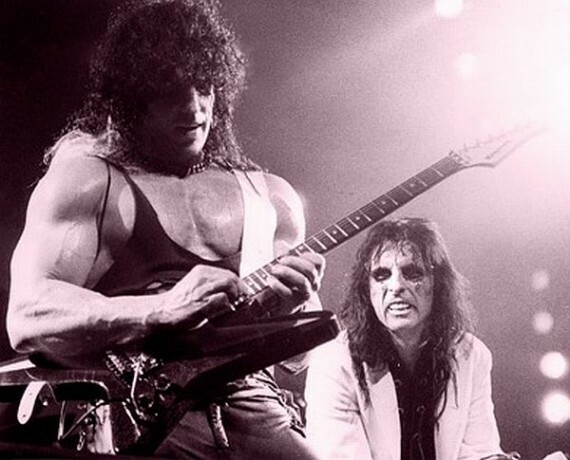 (except for steroids) that attracted a newly-sober Alice Cooper to him. he was looking for a guitarist who stayed away from drugs while on tour. revival during the late 1980s during the Constrictor and Raise Your Fist and Yell tours. in his life, his obsession with bodybuilding represented a relatively short-lived phase for Roberts. Last edited by COACH; 04-29-2013 at 06:46 PM. That is crazy. 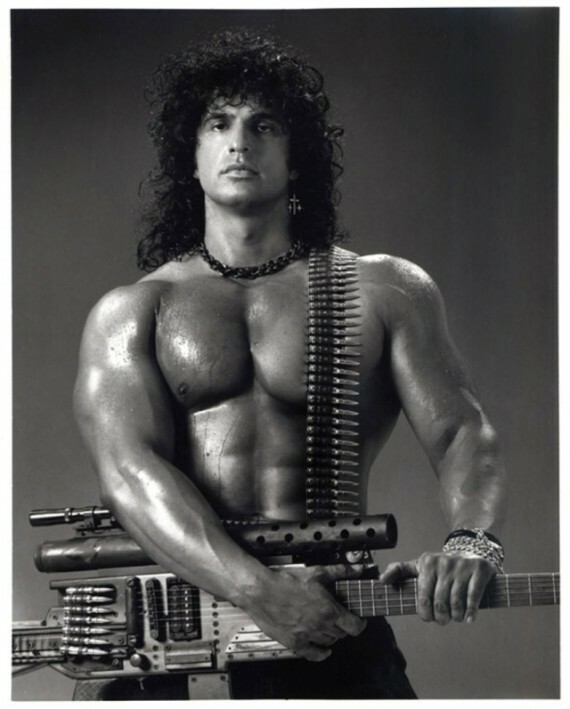 A guitar player using steroids!